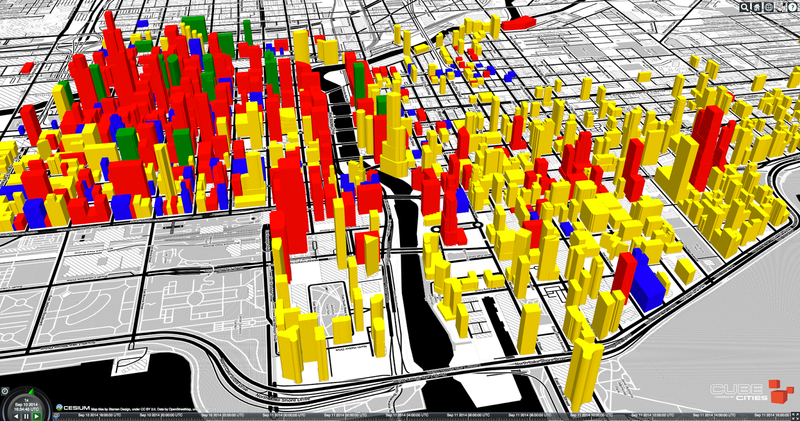 We've been working with the Cesium 3D mapping software to visualize our building data. Cesium is exciting because its an open-source virtual globe that does not require a plugin to work in the web browser. Cesium has a very rich set of functionality and promises to deliver amazing city and building search interfaces for Cube Cities in the future. This video clip from a Cesium presentation by Patrick Cozzi, founder of Cesium, points out our development efforts at the FOSS4G 2014 conference this week. A link to the full presentation will appear when posted. 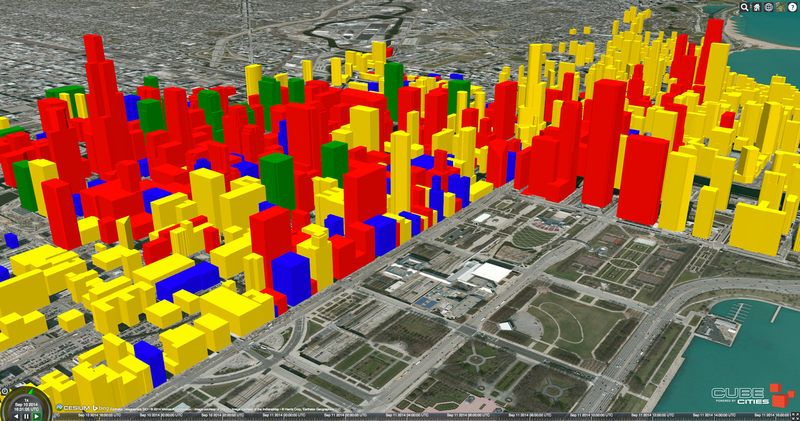 The images below are Cesium screenshots showing our Chicago building data visualized by usage: commercial, residential, other. Chicago Multigeometry by Usage on a Stamen Toner map.